I have proposed that a significant proportion of pitchers' elbow and shoulder injuries are due to a set of mechanical flaws that I individually refer to as the Inverted W, Inverted V, and Inverted L and collectively refer to as the inverted arm actions. I go into the details of these mechanical flaws in the pieces linked to above. In this article I go over the history of the Inverted W, propose a theory of why those mechanical flaws may cause problems, and go over the literature and its relevance to my theory. In the photos above, notice how the pitchers' front heels have planted but their PAS forearms, instead of being close to vertical, instead are much closer to horizontal. That is because, instead of being at 90 degrees of external rotation, their PAS upper arms are at just 10 or so degrees of external rotation. Pitching coaches have long known that a problem with rushing can create a tendency to leave the ball up in the strike zone. However, I believe that, if done habitually, a problem with rushing can increase the load on the elbow and/or the shoulder by causing the PAS upper arm to externally rotate more, and more forcefully, than is typical. That can increase the load on the elbow and shoulder and cause them to break down prematurely. It has long been recognized that rushing can have negative performance implications. However, over the past ten to fifteen years some pitching instructors -- and Paul Nyman in particular -- have come to believe that rushing, despite the problems is may cause, may also allow a pitcher to throw the ball harder than they can when using more conventional mechanics. That is because rushing can more effectively load the muscles of the shoulder and torso and increase their power output. The belief that there is an upside to rushing is based on studying the arm actions of some of the hardest-throwing pitchers and, in particular, their scapular loading. 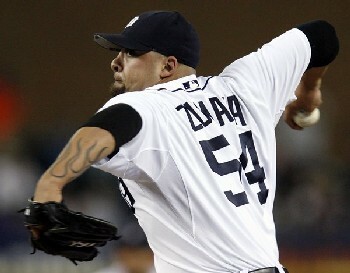 Pitchers whose arm actions were studied and copied include John Smoltz, Billy Wagner, and Joel Zumaya. 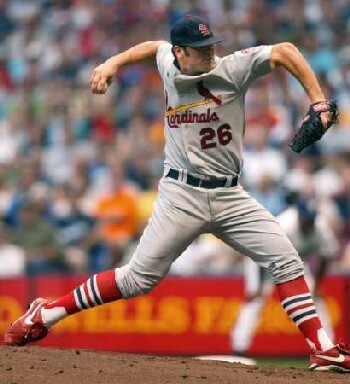 While the pitchers above likely came up with their arm actions on their own, and stuck with those arm actions due to their effectiveness, pitching instructors like Paul Nyman then developed a set of cues, the most prominent of which is to "Break the hands with the elbows," that can increase the likelihood that the pitcher will develop and inverted arm action and provide them with a velocity boost. 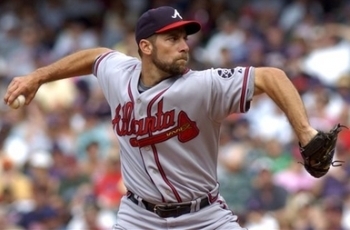 Those cues were then used to mold the arm actions of pitchers like Mark Prior and Anthony Reyes. 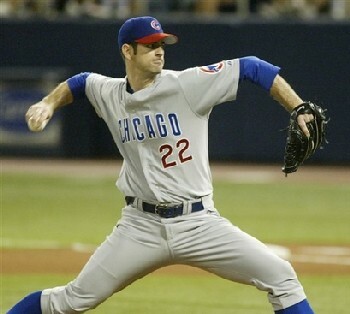 Brandon McCarthy and others saw the success of pitchers like Mark Prior and decided to emulate the Inverted W arm action. There are a number of published studies that bear some relevance to this topic. As I discuss at length in my new Inverted W webbook, the most recent, and definitive, study of the Inverted W is Dr. Weimi Douoguih's 2012 paper on Early Cocking Phase Mechanics. Internal shoulder rotation at initiation of external shoulder rotation in stride. Shoulder elevation at initiation of elbow extension in stride. Average shoulder elevation from start of pitching cycle to time of maximum shoulder elevation. ...The pain group had greater internal shoulder rotation at the initiation of external rotation in the stride. When LaBella talks about internal rotation and delayed external rotation, she is talking about timing problems that relate to the inverted arm actions. The inverted arm actions create more internal rotation and delay the onset of external rotation, and LaBella's study indicates that prolonged internal rotation increases the likelihood that pitchers will experience problems. The study starts off with this hypothesis. Hypothesis: The onset of trunk rotation, with other biomechanical variables that define sequential body motion, will significantly predict elbow valgus loading. Good timing = Pitching Arm Side (PAS) forearm vertical and at 90 degrees of external rotation when trunk rotation starts which means less forceful external rotation which means less Valgus stress. Bad timing = PAS forearm not vertical and at much less than 90 degrees of external rotation when trunk rotation starts which means more forceful external rotation which means More valgus stress. Results: Players who initiated trunk rotation before front-foot contact had significantly higher elbow valgus torques than did those who rotated afterward (P = .02). In other words, players who had major timing problems were more vulnerable to elbow problems. That doesn't say anything about the Inverted W per se, but it does say there's a relationship between timing problems and the stress on the elbow. In the case above, the problem is that the pitcher starts rotating their shoulders too early, likely before their arm is up and in the correct position. 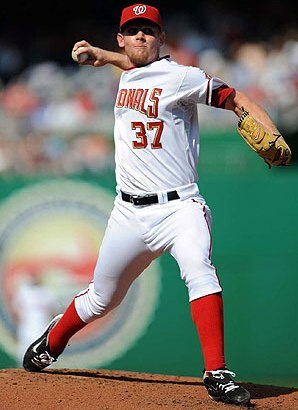 The Inverted W does the same thing; it delays the arm in getting up into the correct position and makes it late. Results: Reduced elbow valgus torques were associated with increased elbow flexion (P = .01)...Similarly, a higher elbow flexion angle at the instant of peak elbow valgus was associated with reduced magnitudes of elbow valgus torque. So bending/flexing the elbow helps to protect it. This is probably related to why Mark Prior, for all of his problems, never needed Tommy John surgery. It could also explain the lack of elbow problems in short-armers like Greg Maddux and Roger Clemens. Although there were no significant differences in demographics or ball velocity between groups (P = .10), the pre-foot contact players exhibited significantly more elbow valgus torque (59 ± 27 Nm) than the post-foot contact players did (42 ± 29 Nm, P = .02) (Figure 5). So, again, timing matters in terms of the load on the elbow. Fourteen pitchers displayed a sidearm delivery, exhibiting an average elbow valgus torque of 66 ± 24 Nm, which was significantly higher (P = .02) than that of those who threw with the more common overhand, or "3/4," slot position (46 ± 29 Nm) (Figure 6). This is VERY interesting. Lots of pitching coaches think throwing sidearm is worse for the arm than throwing from a higher arm slot. I've pooh-poohed the idea that throwing sidearm is bad because I've never seen a study back up that notion. Pitchers who rotated their trunks (ie, squared up) later in the pitching cycle appeared to have reduced magnitudes of elbow valgus torque. I believe that this is because it gives the arm more time to get more vertical. 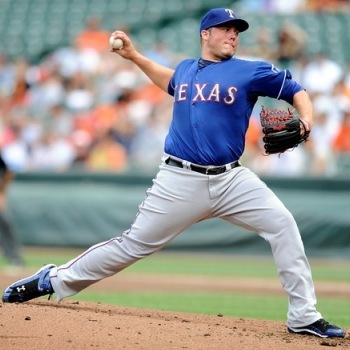 However, the Inverted W interferes with this process and causes the arm to get up late. In this study, pitchers who initiated trunk rotation before front-foot contact exhibited significantly more elbow valgus torque than did those who rotated their trunks afterward. In other words, and again, pitchers who start rotating their shoulders before their Pitching Arm Side forearms are up and at 90 degrees of external rotation -- which is what happens during the Inverted W -- are more vulnerable to elbow problems. This study only indirectly talks about the Inverted W, but it helps to bolster my case. This case demonstrates that timing problems increase the load on the elbow. 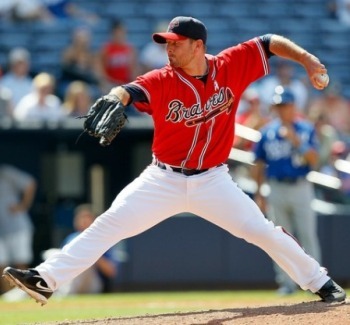 Since the Inverted W can create a timing problem, it can increase the load on the elbow. 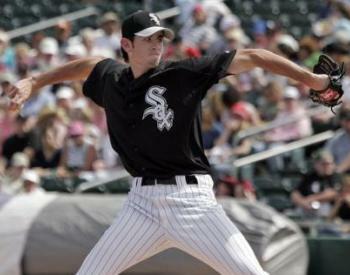 One basis of the theory that the Inverted W is related to shoulder and elbow problems is the idea that the Inverted W causes a timing problem and that that timing problem increases the load on the elbow and the shoulder by delaying and increasing the amount of external rotation of the Pitching Arm Side upper arm. This study provides evidence that increased levels of load on the elbow and shoulder are problematic. Pitchers experiencing higher levels of elbow valgus torque and shoulder external rotation torque throughout the pitching motion are more likely to suffer elbow injury than pitchers with lower levels of torque. This study also notes that there is an established relationship between pitching mechanics and the load on the elbow and the shoulder. Subtle differences in mechanics (e.g., onset of trunk rotation, maximal shoulder external rotation, elbow flexion at ball release) have been shown to produce differences in the torques and forces experienced at the elbow and shoulder throughout the pitching motion. I explain how I noticed the link between the Inverted W, rushing, and injury problems in my Inverted W FAQ. The Inverted W is the moral equivalent of running a car engine past the red line. It works. For a while.